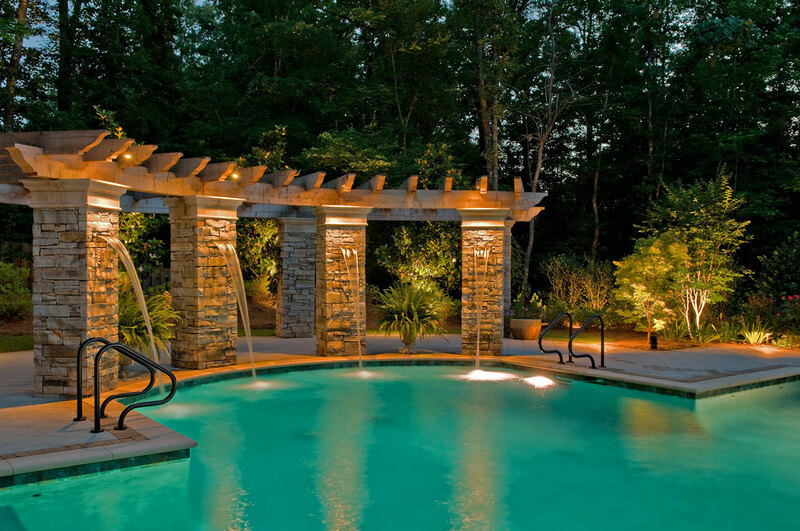 Bathe the areas surrounding your pool or spa with rich warm glows of eco-friendly LED lighting. 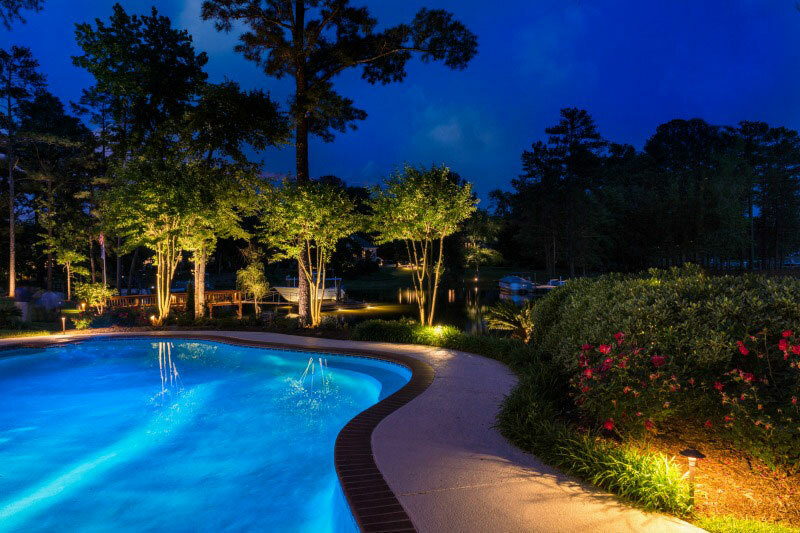 Watch poolside areas come to life after dark each evening with outdoor space lighting that will put a new spin on your nighttime swim. 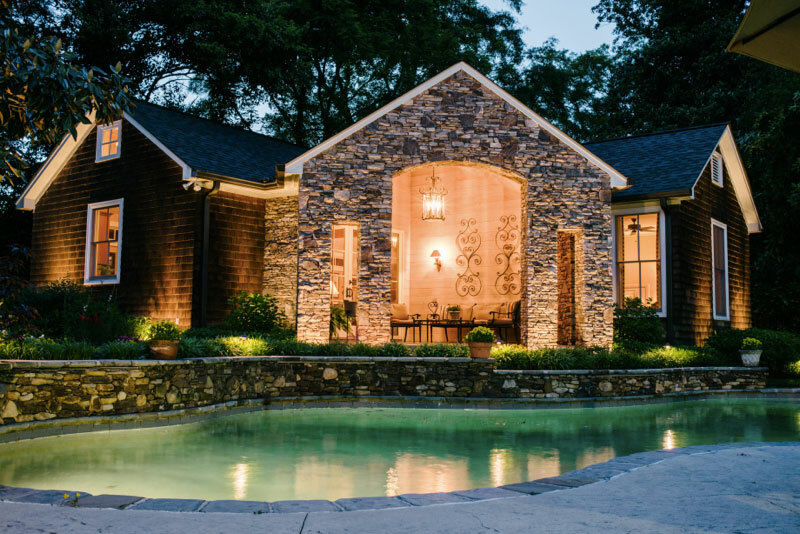 Strategically placed outdoor lighting can create incredibly beautiful (and even colorful) effects that highlight key areas or aspects of the pool. 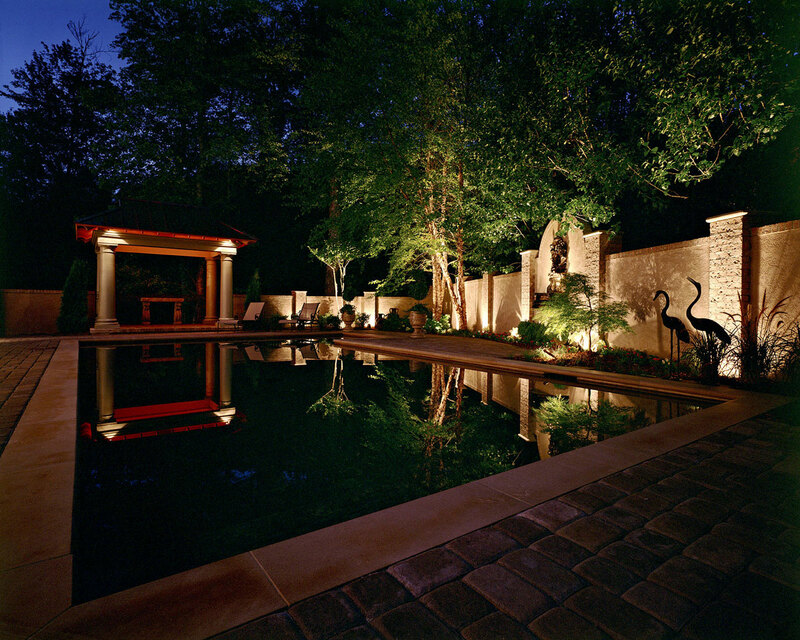 Let’s get creative and identify other opportunities to enhance water areas on your property. 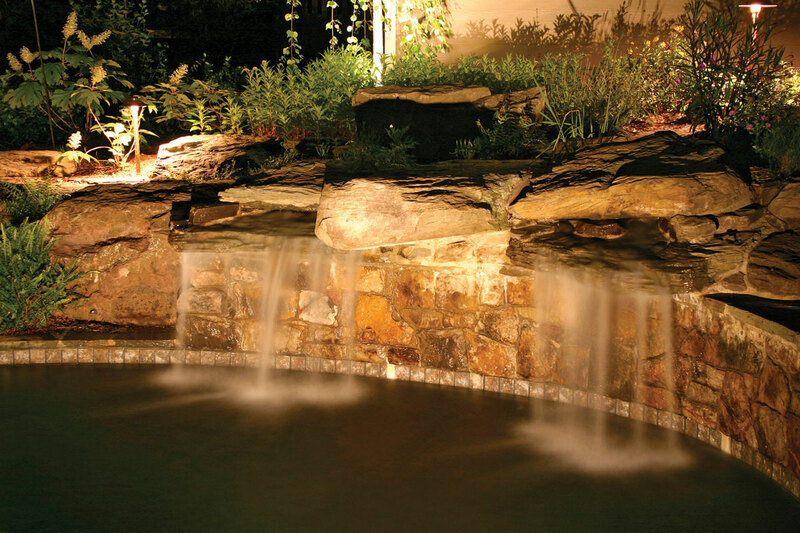 Outdoor lighting can also enhance waterfall and pond areas beautifully. Your poolside entertainment doesn’t have to end when the sun goes down. 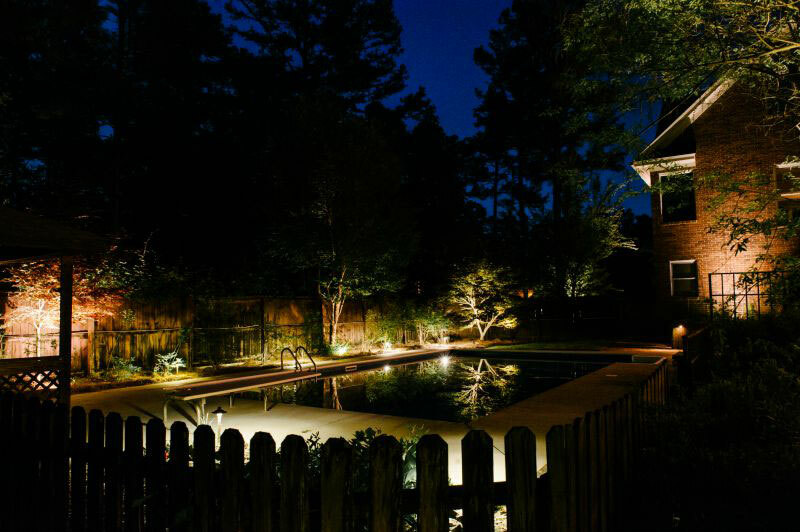 Make the most of your swimming pool with custom lighting from Outdoor Lighting Perspectives. Some of the best times to relax in the water are just after the sun sets, when the water is its warmest and you don’t have intense sun rays beating down on your skin. 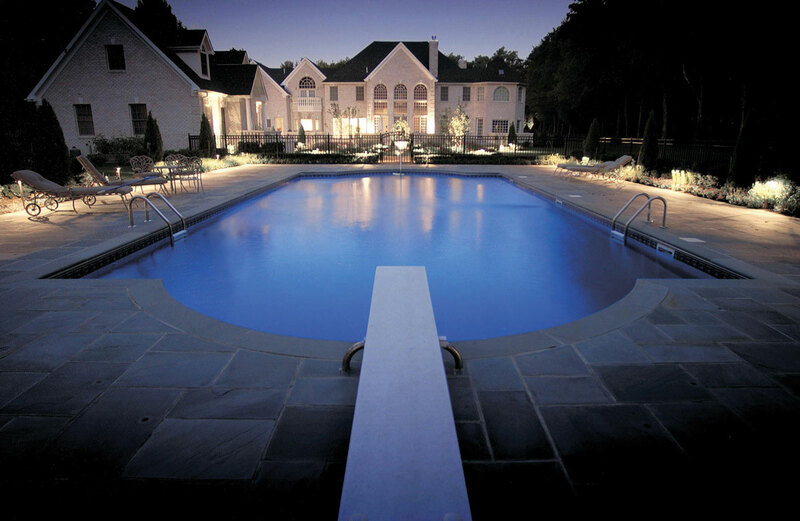 You deserve to enjoy your pool any time you like, and our lighting systems will help you do just that. 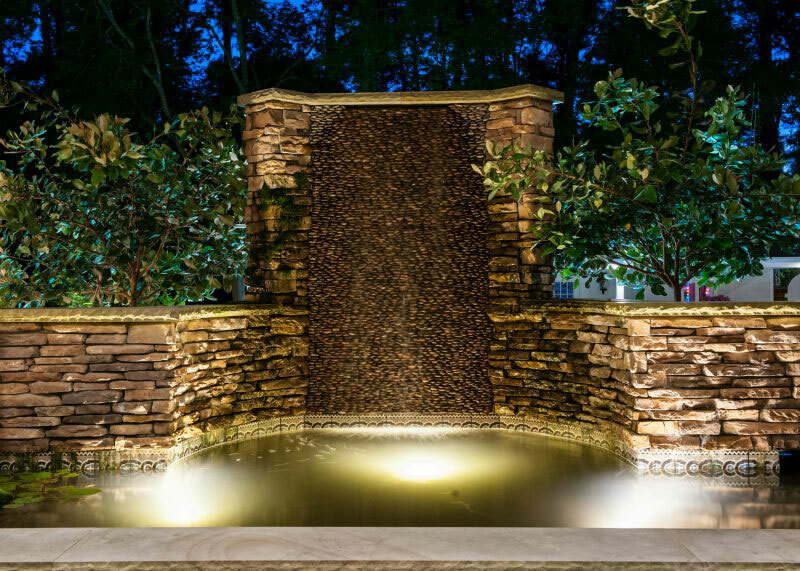 Have a water feature near the pool you want to accentuate? 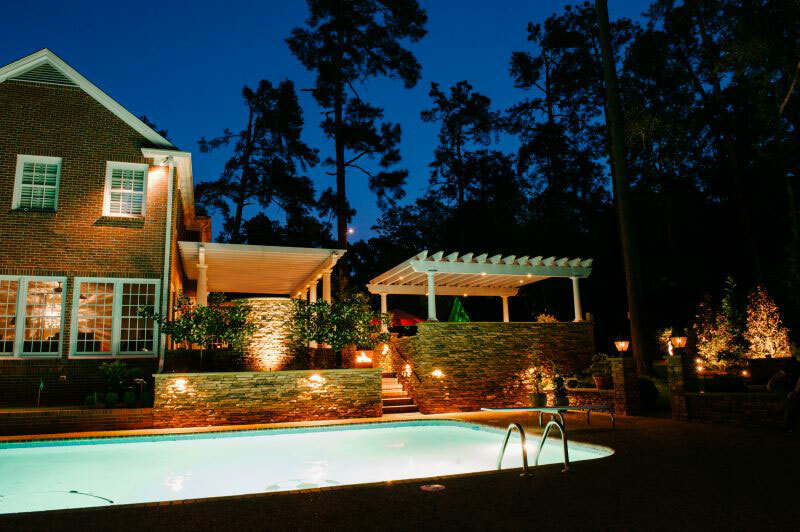 Wish you could show off the gorgeous landscaping you spent so much time planning out? 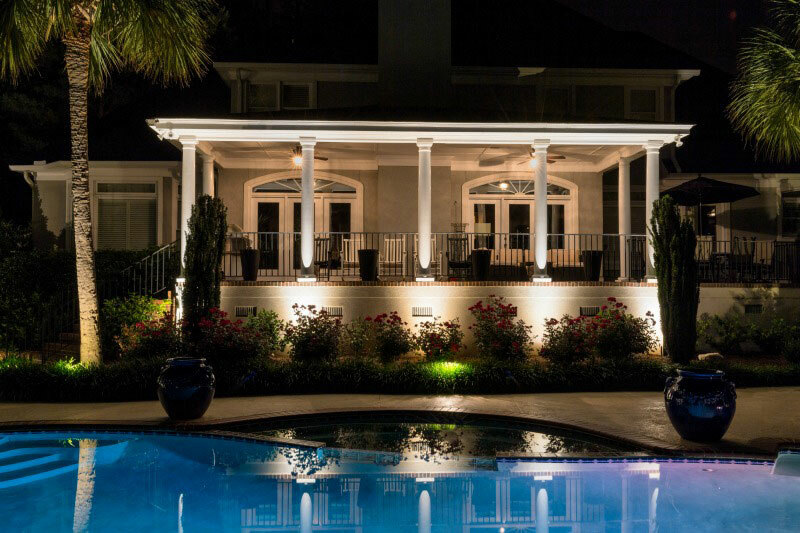 Highlight the best parts of your outdoor living space with custom pool lighting designed with you in mind. 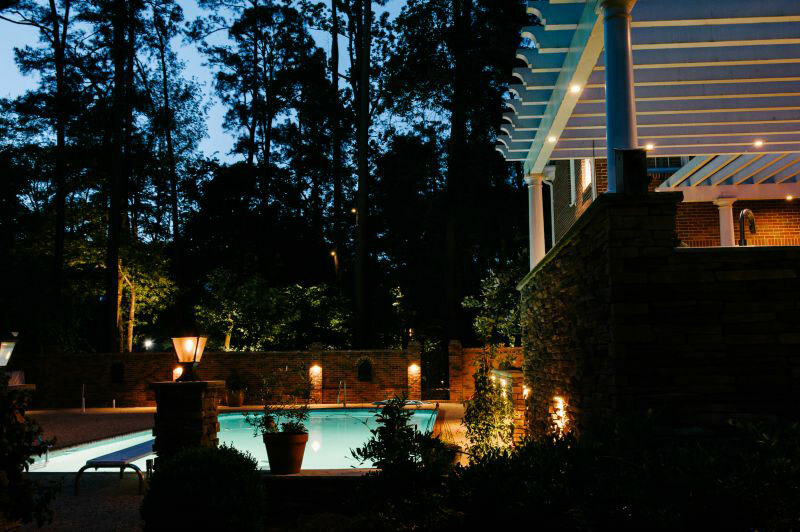 Whether you want a soft glow around your pool or a multi-color light display, you can transform your poolside deck with the right lighting in the right locations.